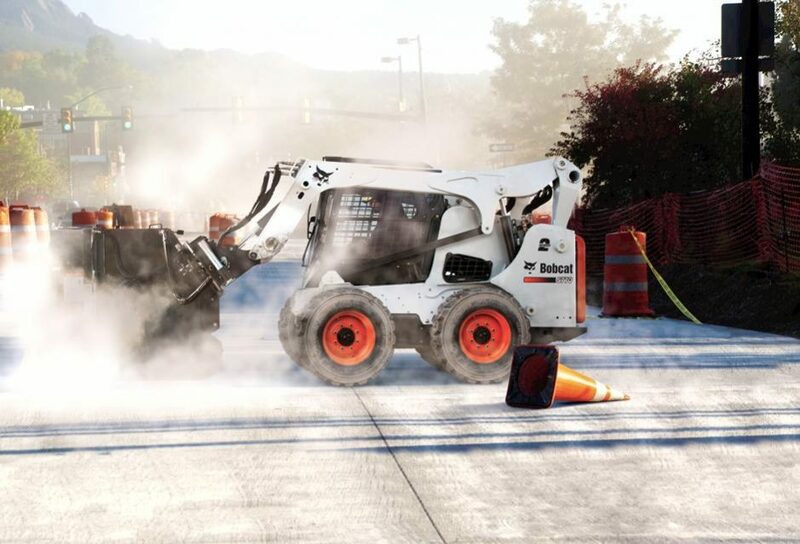 The Bobcat® S770 delivers big productivity and performance for tough digging, loading, pushing, grading and other tough assignments. With a 92 horsepower engine, 3,350 pound Rated Operating Capacity (ROC), stronger lifting power (up to 11 feet of vertical lift) and added reach, you can easily place cargo and tackle your most demanding tasks. The S770 also has improved hydraulic flow, providing you with the versatility to operate the most powerful Bobcat® attachments. Like all M-series models, the S770 has an industry-leading cab design that offers improved comfort, visibility and operator-friendly features. The optional pressurized cab provides a cleaner and 60 percent quieter work environment.